Thank you for supporting independent games! 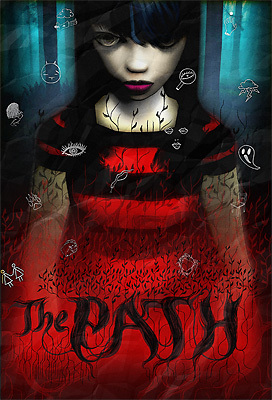 Here you can buy a digital copy of The Path and download it immediately. PC: Windows XP or Vista, 2 Ghz CPU, 2 GB RAM, 256 MB Radeon or Geforce videocard of at least x6xx type. Integrated videocards are not supported. 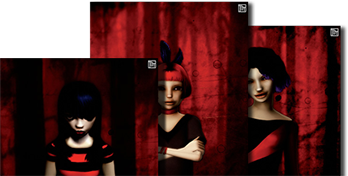 Mac: The Path requires a recent Mac suitable for realtime 3D gaming with Mac OS X 10.8 or newer installed. At least 2 Ghz Intel Core 2 Duo CPU, 1 GB of RAM and a recent Radeon or Geforce video card of at least x6xx type with 256MB VRAM or better. Integrated videocards are not supported. Mac Pro, iMac or MacBook Pro recommended. unsettling course of events, make The Path unsuitable for children. download again to get this bundle please see our FAQ! 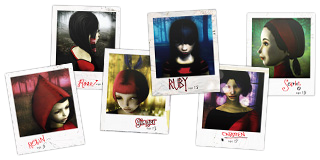 to play in Dutch, Danish, French, German, Hungarian, Italian, Portuguese, Romanian or Spanish. by Kris Force and Jarboe! 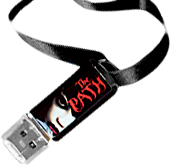 USB sticks with games and extra goodies, posters and prints. All available on our official store. All posters come with a free Soundtrack album download!